Spider Namirriki Nabunu was active from the 1960s, when he was living and working at Kunbarlanja (Oenpelli). This painting was acquired in 1960 by Dr Stuart Scougall and gifted to the Art Gallery of New South Wales, Sydney. Gamarada , Sydney, 1996, 25 (colour illus.). 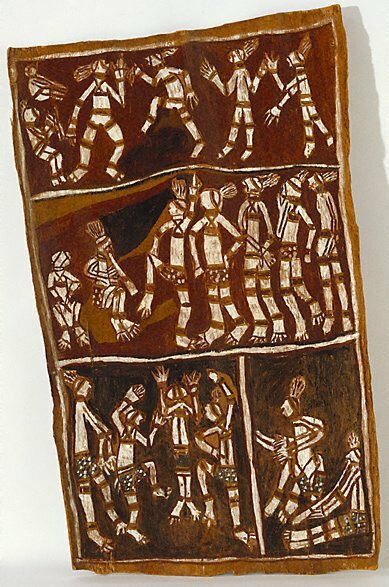 Crossing country: the alchemy of western Arnhem Land art , Sydney, 2004, 38 (colour illus. ), 227.